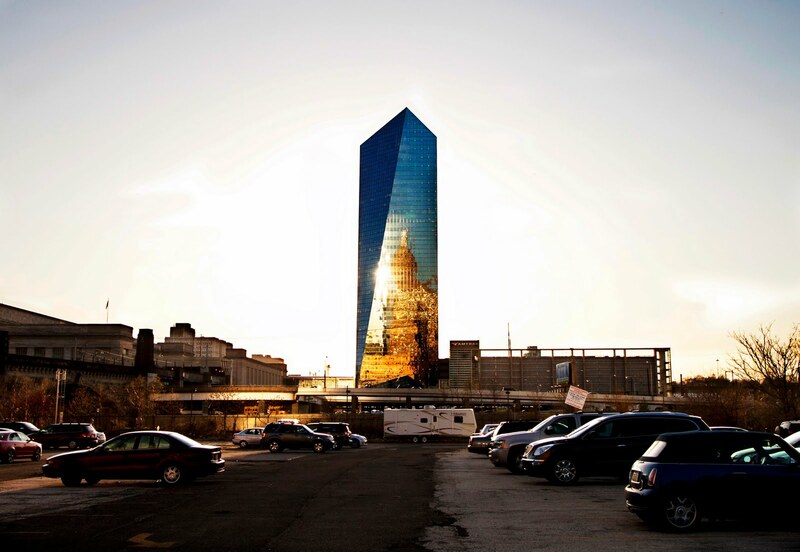 The Cira Center is one of my favorite buildings in Philadelphia. I was rushing to get to the other side to capture the best lighting when I saw the sun shining right through the building and some golden reflections of other buildings. I ended up taking some night shots too which I'll post on a later date. I won't be blogging very much this weekend but I'll try to check in and take care of Linky problems. 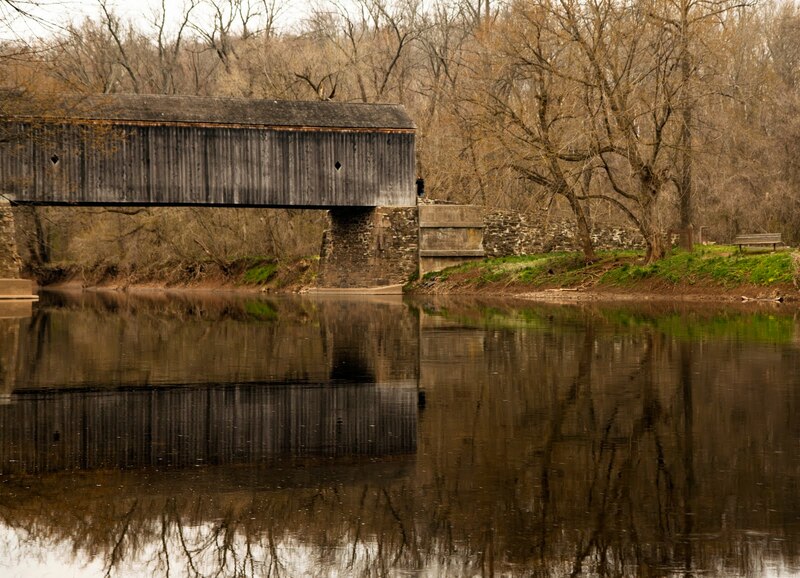 Just Three weeks until I leave Pennsylvania for California. It's getting hectic but It's pretty exciting too. 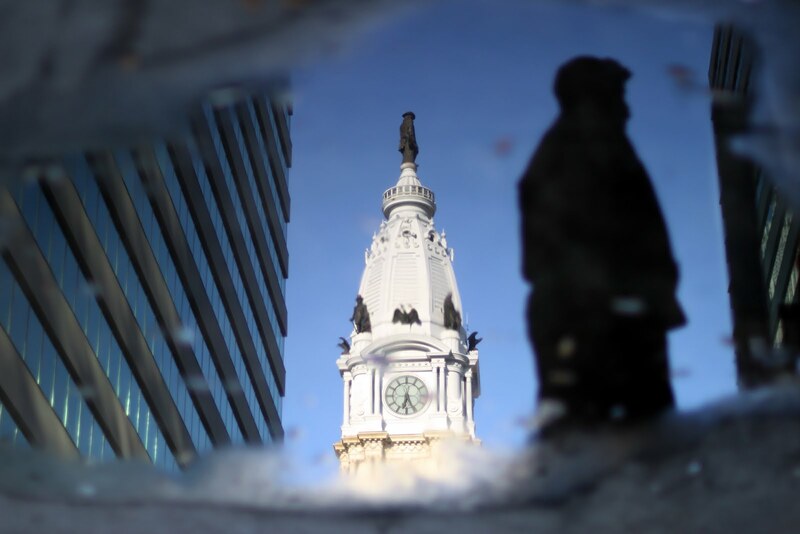 Philadelphia, Pennsylvania (City Hall, buildings, blue sky and a man reflected in the puddle) The man and the statue of William Penn (on top of the city hall tower) seem to be walking in the same direction. To give a little perspective the statue is 37 feet tall and weighs 27 tons. Four and a half years ago Vicki and I left Orange County, California to experience other parts of the country. We spent a little over two years in the Dallas-Fort Worth area and then two years in Newtown Pennsylvania. Our original plan was to return to California after four or five years, but we like this part of the country so much that we began to think we were going to stay. However, after lots of prayer and consideration, we will be moving back to Orange County (Newport Beach) next month. We had an amazing time meeting new people, learning new things and exploring new states and countries. I don't think I would have discovered photography if we hadn't taken on this adventure. Sometime in May I'll change the name of this blog to Weekend Reflections and I'll be doing my every day or every week blogging at my Something Sighted blog. May 20th is the day I depart on my cross-country trip back to California so Weekend Reflections will be on auto pilot for a few weeks during that time. However, I hope to post photos and updates from the road on my Something Sighted blog as much as possible. I would love to share my adventure with you all at Something Sighted as I photograph across the country and then re-discover and photograph California. If needed, please click the link in the top right corner for Weekend Reflections instructions. Now, lets have some fun with Weekend Reflections! 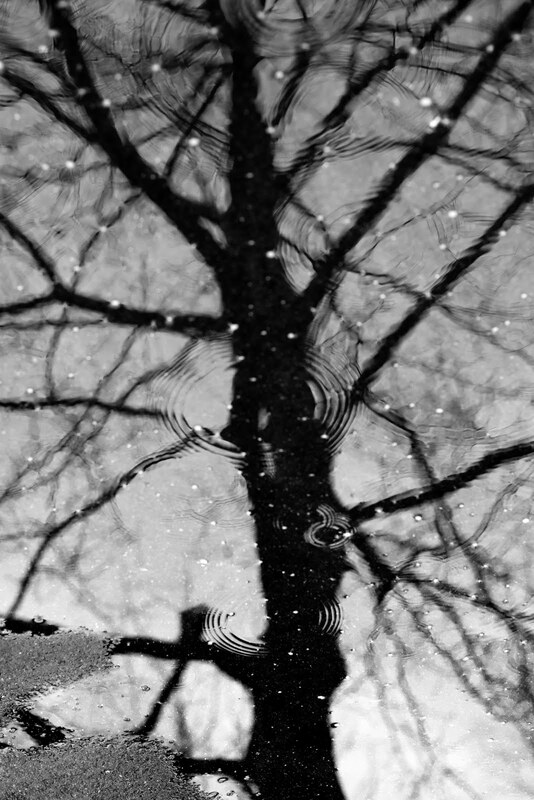 Newtown, Pennsylvania A tree reflection captured in a rain puddle. I was able to take the shot just as the rain begain to fall, before the reflection was disturbed too much. We've had lots of clouds and rain but springtime colors are on the way. If needed, please click the link in the top right corner for Weekend Reflections instructions. Now, lets have some fun with Weekend Reflections! 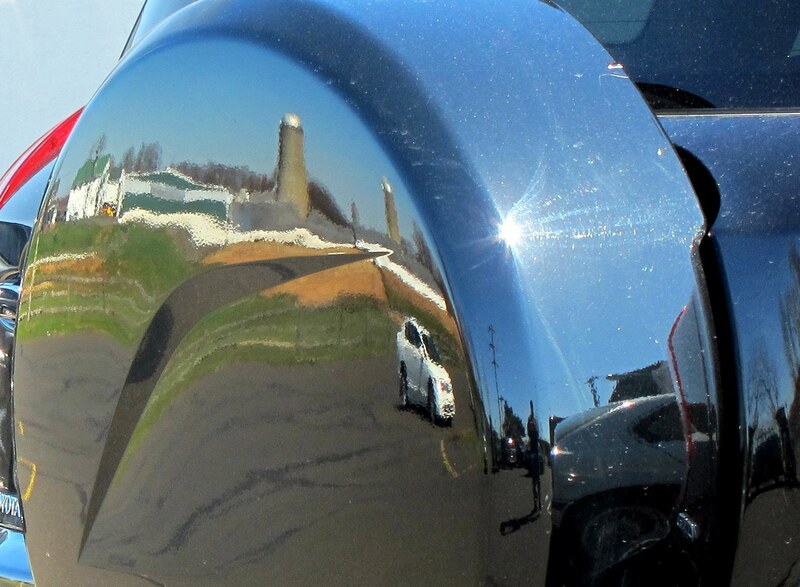 Ivyland, PA (Tanner Brothers Dairy Farm) It's a reflection in a spare tire cover on the back of a car. The reflection is warped but there's a dairy farm with two silos, a wooden fence,cars,the sun in a blue sky,power lines,and me and my shadow. Speaking of me, my back is finally getting better! I'm still not able to sit or stand in one place very long but I am able to walk with much less pain and my pain is less overall. :) Happy Days are almost here again! I hope all is well with all of you. I'll stop by and say hello as much as I can. Have a great weekend! If needed, please click the link in the top right corner for Weekend Reflections instructions. Now, lets have some fun with Weekend Reflections!